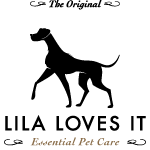 FIRST AID OINTMENT is an universal use ointment containing a whole armada of active ingredients designed to fight for furry friends healthy skin. Scratches, scars, eczemas, mosquito bites, allergies are the main indication for FIRST AID OINTMENT – the innovative formula. It supports quickly and effectively the process of regeneration, with the developed formula by pharmacists and veterinarians. FIRST AID OINTMENT meets the same requirements that are placed on medical drugs for humans in terms of quality, ease of use and compatibility. It speaks directly to its quality. The specially selected and formulated natural ingredients combined with innovative medical compounds are what makes the FIRST AID OINTMENT that effective. A thin layer of FIRST AID OINTMENT should be applied over the entire area 2-3 times daily. For best results it is recommended prior to the application of FIRST AID OINTMENT the application of LILA LOVES IT SILVER SPRAY + ALOE VERA. Should your pet lick the area where the product is applied, there is no need to worry since the ingredients are well-tolerated by pets.